Strawberries and chocolate, what a team! 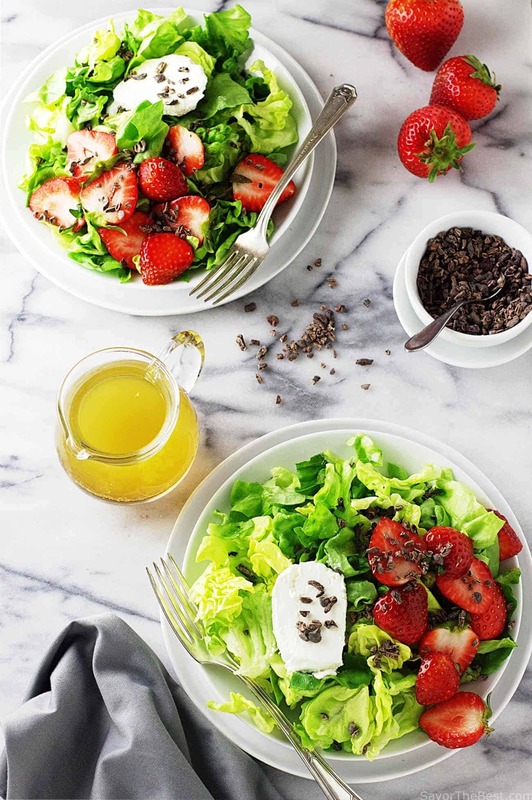 And they play together really well in this butter lettuce, strawberries and cocoa nibs salad. Then add a slice of creamy goat cheese. This salad is a winner for sure. 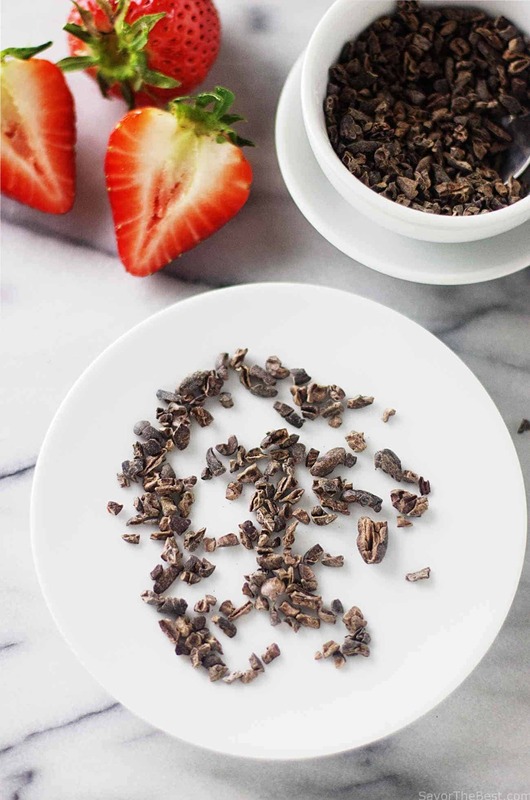 Cocoa nibs are made from crushed cacao beans, they are nut-crunchy with a mild chocolate flavor. We all know how good dark chocolate is for us and the cocoa nibs are the purest form of chocolate. 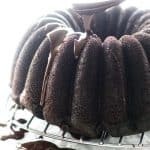 They are roasted, dried, fermented bits of the cocoa beans and they are processed less than chocolate which allows them to retain all the nutrients of the natural cocoa bean. Have you been introduced to cocoa nibs yet? We posted a recipe for brownies with cocoa nibs and it is amazing, nice and fudgy with crunch from the nibs. If your grocery store has a bulk-foods/spice section it may be available or you can order it online. It may seem pricey but a little bit goes a long way and keeps well in an airtight container. My first experience with cocoa nibs was when I baked and posted my brownies with cocoa nibs recipe. 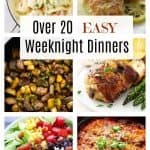 Since then, I have been experimenting with them in both sweet and savory recipes and I’m loving them. Soon I will be posting a pasta entree that features cocoa nibs. With my first attempt in making this salad I used arugula greens and found the peppery flavor of the arugula overpowered the other ingredients. 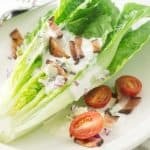 Mild and tender butter lettuce is a much better choice with the strawberries and cocoa nibs. 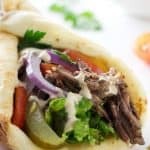 Plus a thick, creamy slice of soft goat cheese adds an additional layer of texture and flavor. 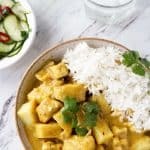 The light vinaigrette dressing is made with rice wine vinegar, honey, a little Dijon mustard, mild avocado oil and really lets the salad flavors shine. 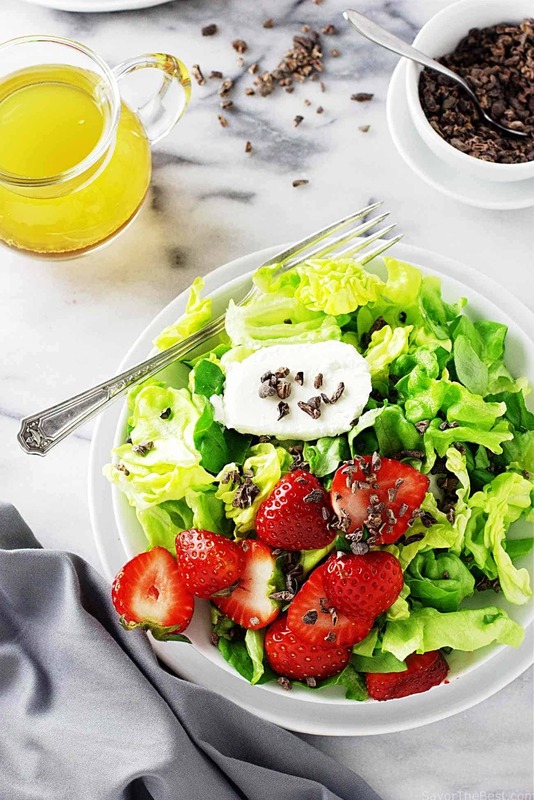 This awesome salad of butter lettuce, strawberries and cocoa nibs will be great any day of the week but Mother’s Day is not far off and that would be a fitting occasion to serve this salad. I bet she will love it! ——Happy Mother’s Day to all you ladies! 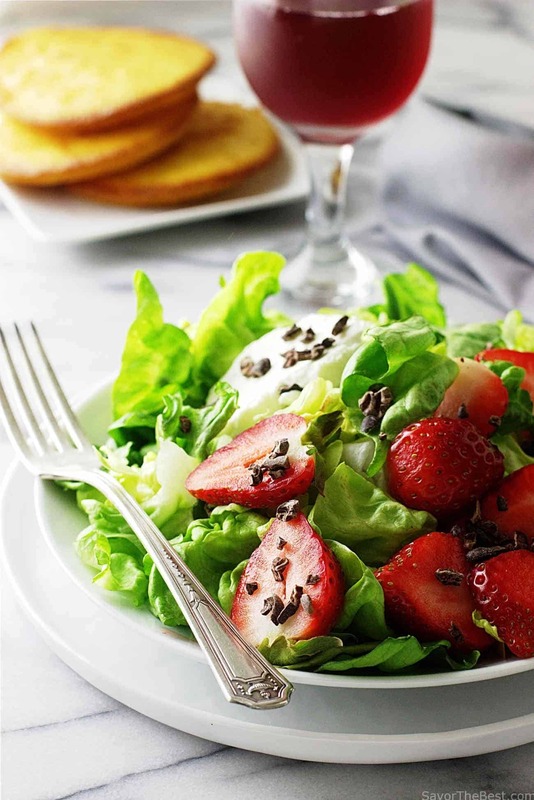 This classy salad of mild and tender butter lettuce, strawberries and cocoa nibs has crunch, sweetness and flavor. Plus a thick, creamy slice of soft goat cheese adds an additional layer of texture and flavor. 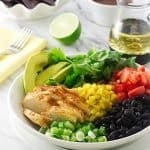 The light vinaigrette dressing is made with rice wine vinegar, Dijon mustard, honey, seasoning and mild avocado oil really lets the salad flavors shine. 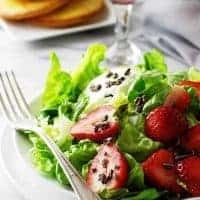 Wash and drain the lettuce on paper towels, tear into bite-size pieces and divide among four salad plates, add the sliced strawberries. 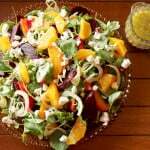 Slice the goat cheese on the diagonal into four equal slices and add off-center on each salad. Sprinkle one tablespoon of the cocoa nibs over each salad. Add the vinegar, mustard honey, salt and pepper to a small dish and drizzle in the oil while whisking. Or…combine all the ingredients in a small jar with a lid and shake well. Transfer the vinaigrette to a small pitcher and pass to the guests.